One of the newer services we are happy to be able to offer our customers is Tulsa Holiday Lighting Installation. Whether you want us to provide all decorations, install them and store them, or you have the decorations and want us to put them up for you, call us today! Our number is 918-640-6405. We would love to set up a consultation and free estimate with all of our potential customers in the area. When you call you’ll be able to speak with Jamie Nix and Josh Mathias, the founders of Green Leaf Lawn. There devoted to providing expert service and beautiful landscapes to the people of Tulsa. For a list of all of the services we offer including Tulsa Holiday Lighting Installation, visit our website today and click on Our Services at www.greenleafweedcontrol.com. It’s never been easier to get the service you’re looking for when it comes to all of the outdoor landscaping and lawn maintenance services you require. Our team is dedicated to providing expert service to the people of Tulsa and below are a few of the things we offer when it comes to maintaining your beautiful lawn. The Turf Enhancement Engineers at Green Leaf Lawn have the experience you need in a wide variety of services to make sure that your lawn and your home always looks in tip top shape. It doesn’t take long for your lawn to get out of hand, so we offer consistent mowing and trimming to keep your yard orderly and looking neat. In order to evenly plant your lawn or garden, we offer hydro seeding to ensure every inch of your Portage property is evenly covered with all the necessary materials to start your new lawn. If the services sound like something you’re interested in, it’s time to pick up the phone and call 918-640-6405. Speak with the professionals at Green Leaf Lawn about setting up a routine and a schedule that we can follow to make your lawn and home more beautiful than ever before. It’s never been easier than it is now to get expert care and service for your landscape. We all want to make the right decision when hiring a Tulsa Holiday Lighting Installation professional. Christmas is a special time of the year and you aren’t going to trust just anybody when it comes to your Christmas lights installation. When hiring y a Tulsa Holiday Lights installation provider you need to be sure you are dealing with a reputable and professional company. Allowing an inexperienced lights installer to decorate your home can end up causing you more troubles than it’s worth. The more information you can get on a particular Tulsa Holiday Lighting Installation company the better, helping you make an informed and intelligent decision when hiring a professional Christmas lighting installer. Do you dread the though of digging out those tired old lights? Have a panic attack just thinking about all the knots and broken bulbs? 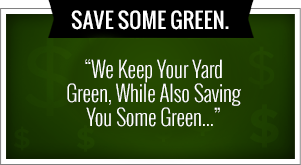 If so Green Leaf Lawn Service has the solution for you. Just let our experienced and professional decorators handle all the work for you. All you have to do is sit back and relax. We provide, install, take down, and store for you all of your needs when it comes to your Tulsa Holiday Lights. We have a committed team that are among the best in the industry and will take their time and do things right the first time so you can have a stress-free and enjoyable holiday season this year and for every year to come when you use Green Leaf Lawn services. It is important to maintain a healthy landscape to ensure maximum growth from year to year. Green Leaf Lawn offers all maintenance for your existing landscape areas. Re-mulching, bush/hedge trimming, weeding and planting are just a few options to spruce up your property. Our weekly grounds mowing services provide the consistent look to a well-maintained lawn. Serving both residential and commercial properties, we will ensure a professional look with mowing, trimming, edging, and cleaning up of your turf. Our 6 Step lawn fertilization granular based programmed that is customized to your turf area. Our certified professionals are trained to detect any problems that may spring up in your lawn and treat them before it is too late. 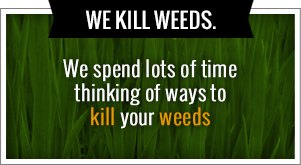 Insect and weed control are an ongoing process throughout the year so you know that you will always have a healthy weed free lawn. We also offer aeration, power raking and seeding to help your lawn become as thick and healthy as possible. You’ll find the difference in our Tulsa holiday decorating is in the unique artistic touches, skilled installations and personal attention to your needs. By welcoming us into your home, you will have the time to focus on those you love while we transform your wishes and ideas into a holiday season to remember! Contact the experts at Green Leaf Lawn today to schedule your Tulsa holiday lighting & decor design and installation. Call us today or fill out our online request form and one of our professionals will get back to you at your convenience.